When I moved to Japan, I had to leave a lot of things behind: DVDs, my tiny decent PS2 collection, my book collection (art books are notoriously heavyヽ(=´Д`=)ノ), as well as family and friends. 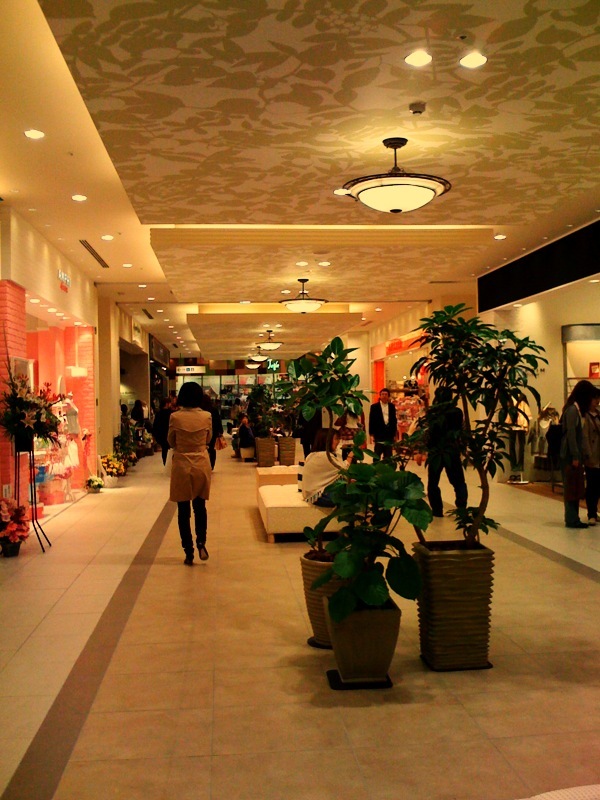 But there's one thing that followed me, whether I wanted it to or not, my love for shopping. 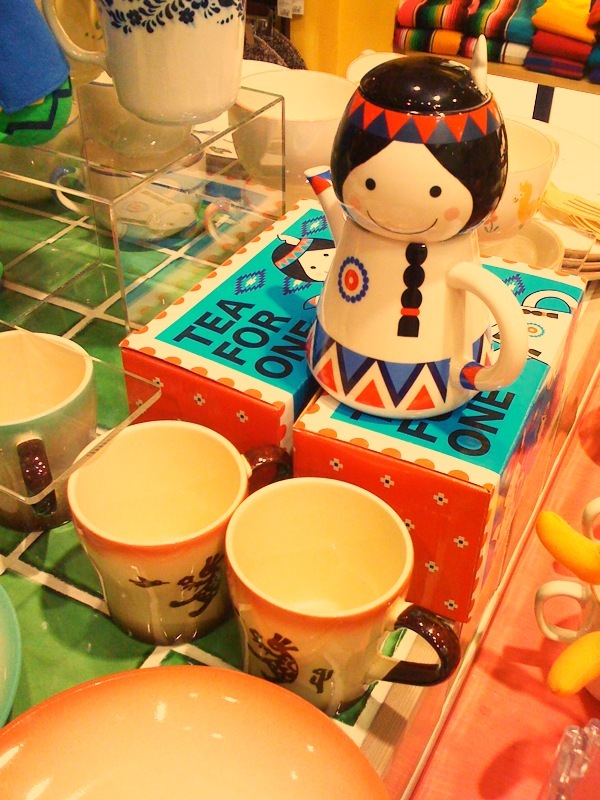 In fact, it followed me to Japan and became obeseヽ(°▽、°）ノ. 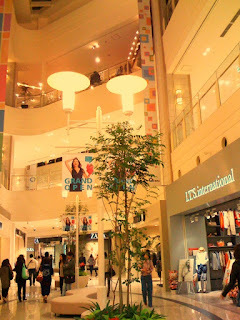 So as a carrier of this burden, I thought it would be best to share what I can about shopping in Osaka. 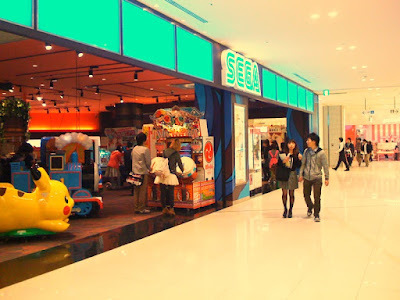 Most people who have been to Osaka know of Namba and Shinsaibashi, an insanely busy shopping area, and Umeda, but there's been a recent addition to Osaka's go to areas for shopping. 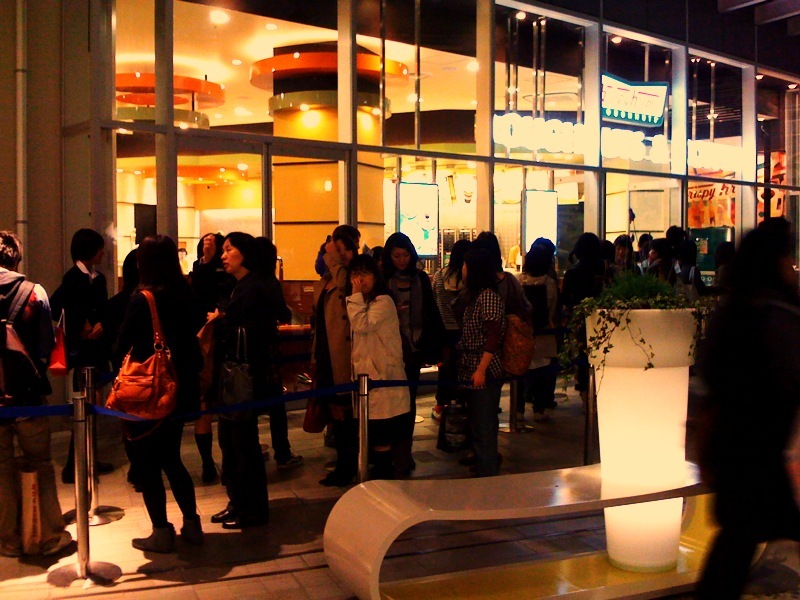 Abeno Market Park Q's MALL in Abeno, Osaka!! 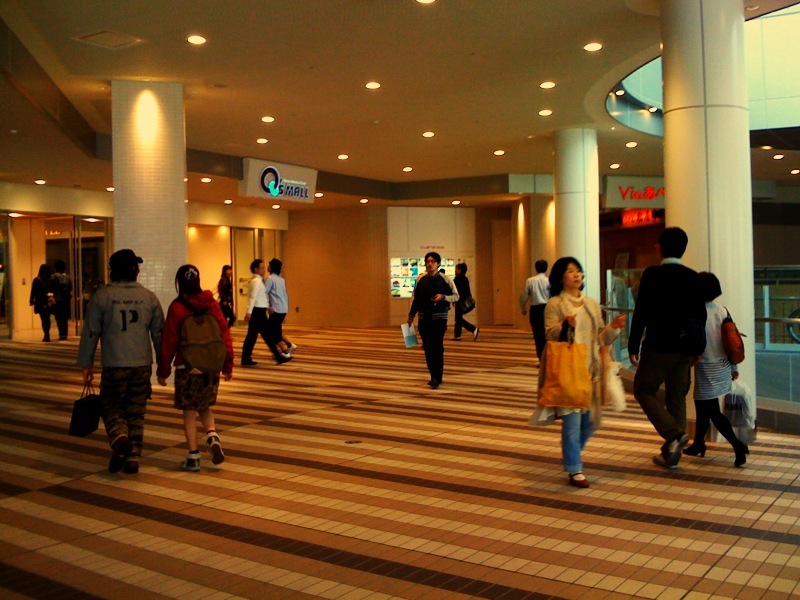 ●From the subway, on the Tanimachi Line or Midosuji Line at Tennoji Station, exit number 12, then 2 minutes on foot. ●From JR Osaka Loop Line, Hanwa Line or Kansai Main Line, at Tennoji Station, South exit, then 3 minutes on foot. ●From Kintetsu Railway, on the Minami-Osaka Line, at Abenobashi Station, West gate then 3 minutes on foot. ●From Hanshin Railway, on the Uemachi Line at Tennoji-eki-mae Station, then 2 minutes on foot. Well it's got lots and lots of spaceヽ(°▽、°）ノ! That may sound insignificant, but anyone who has pushed through a crowd in Namba knows, even a little space is of great value. Anyway, there's lots of space, which made it very easy to get around the families with strollers but also gave more space for just walking at your pace. There was also tons of places for sitting, which is another thing you take for granted unless you've been walking around a mall for 4+ hours(´´ⅴ｀`). 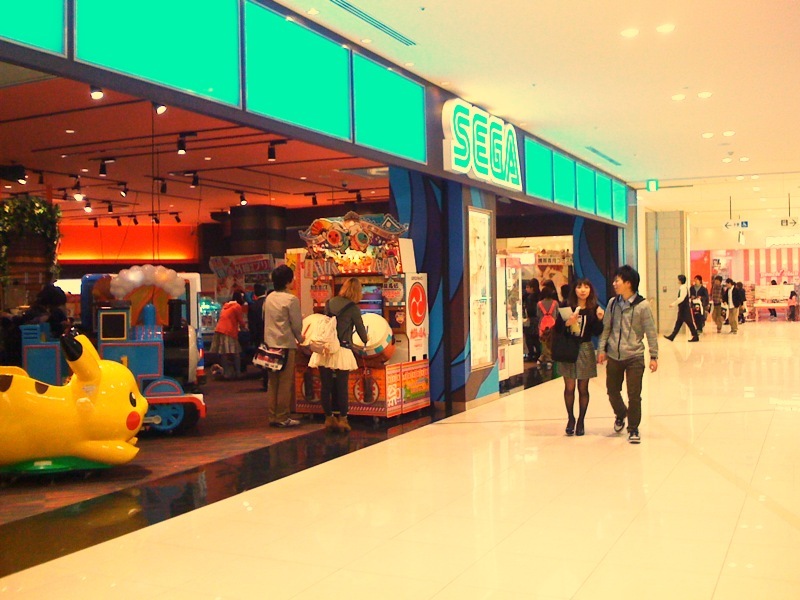 For all intents and purposes, it's pretty similar to any other mall in Osaka. ＋Some positives: it's close to several different train stations, easily accessible, and it's indoor, which is a great alternative to Namba and Shinsaibashi during inclement weather. －Some negatives: no movie theatre (how can you have a huuuge shopping center with no movie theatre!? makes no sense（；’Ａ ’）) and the traffic in that part of Tennoji/Abeno is terrible! A lot of sidwalks and buildings are under constructions, forcing a lot of bikes and people into the busy streets. Hopefully that'll get cleaned up in the coming months, and then I'll try to find another negative to replace it(ﾉﾟ∀ﾟ)ﾉ. Even though I love typing, I'm not typing up a shop list for place. I think there's about 150+ stores so you can check out the few I mentioned on my old blog or check out the Q's MALL site for their listing. 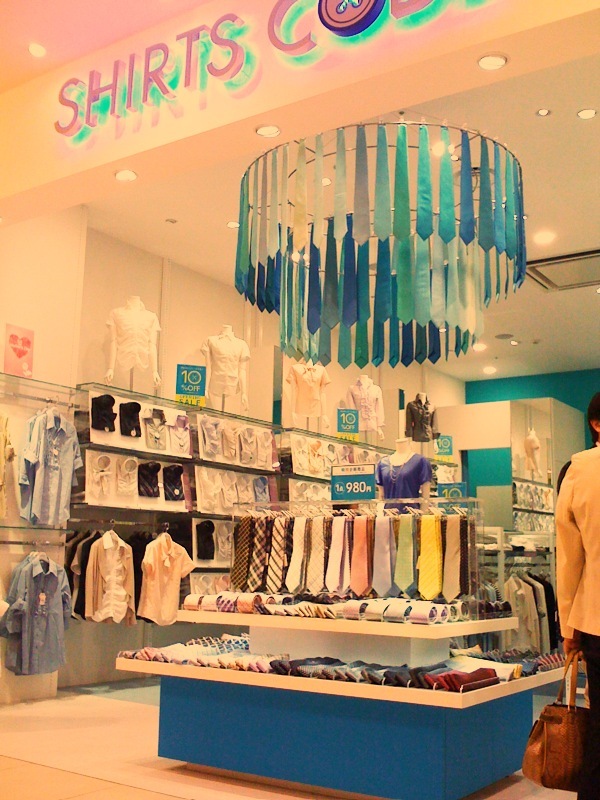 This shop is your typical suit (well, in this case they only sell shirts（´∀｀）) shop in Japan. 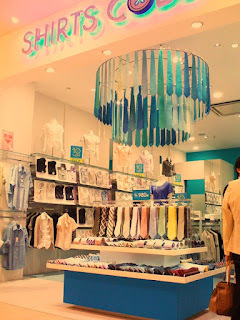 Japanese wear a lot of suits, men and women alike. I rarely see someone in business casual, and with all the recent grads from April, I'm sure stores like these are doing great. A shop that specializes in selling cute everything. This brand, Swimmers, actually have a couple other shops in Osaka Prefecture, or you can visit their online shop. 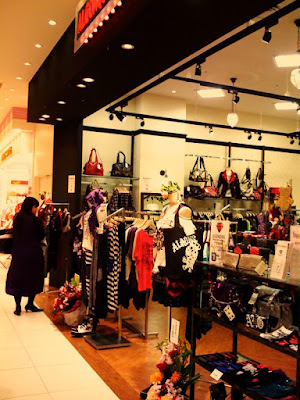 An Algonquins shop!! 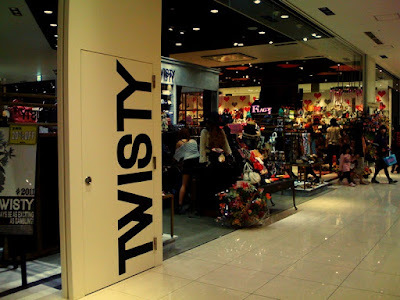 I was so excited to find this shop, then sooo disappointed to find nothing worth buying（´A｀） They did have excellent bags though! The Ninja store on the top floor (floor 4)! 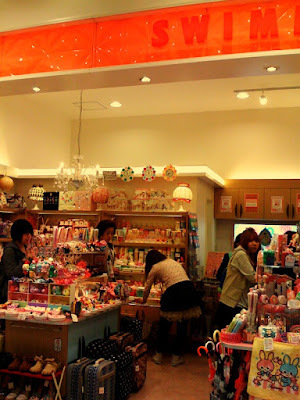 Lots of gift-y stuff from Japan, but not too overpriced. 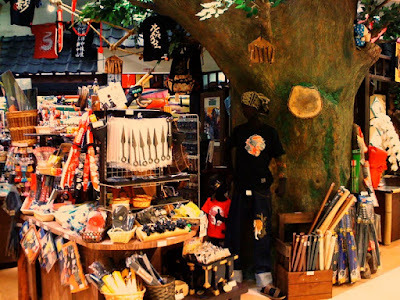 They also sold swords and dolls of famous warlords. Check out these saucy ladies and their gold pants! 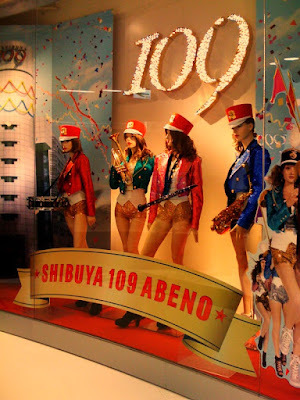 That's pretty much how my reaction went to this branch of Shibuya 109 in Tokyo. I was so excited and ready to check this out, but my excitement began to waver as I read the shop list. A little over 30 shops.. Okay, that does seem a little small, but they'll definitely have a super cool set-up, it's 109 after all, I thought to myself. I'm starting to think I have an overacting imagination, because it was really nothing like I was picturing(・＿・。)ｸﾞｽﾝ. It's pretty small. Well, kind of small-ish. It basically looks like one floor of OPA in Shinsaibashi（>_<). How they crammed all those stores in one corner of the mall like that, well I can imagine how, but why?? It looks so... normal(´Å｀). Ah well, I'm sure I'll still waste lots of money there either way. Game center! 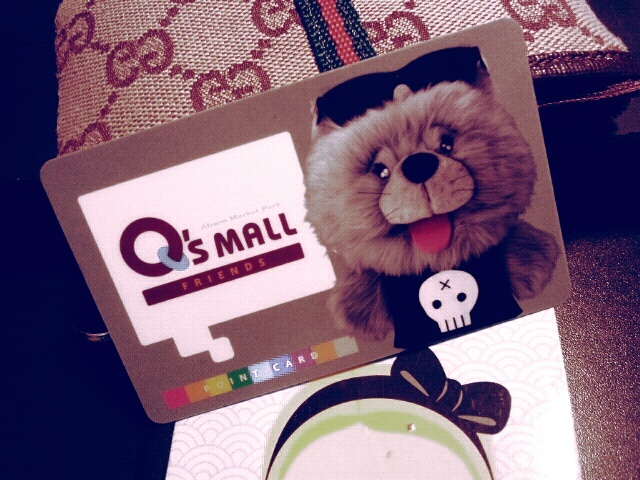 A little on the small side and it only has 2 print club machines（；´Д｀）! I'm sure that's blasphemy in some parts of Japan. Overall, I'm sure Q's MALL will be a great a addition to the Tennoji/Abeno area. It looks like slowly but surely, they're trying to building it up into a nice family area. I just hope they head over to Tsutenkaku in Shin-Sekai next because it really need a make-over（；’Ａ ’）. And so for the last photo in this post..!